800 homes, with the vast majority at social or market rent: it doesn’t sound like the London housing market. But an ambitious community group are trying to change that. Two thirds of St Ann’s Hospital in Haringey is being sold off to developers. In 2015, planning permission was granted for a housing development there – with a requirement that only 14% of the homes be “affordable”. And even then, ‘affordable’ (up to 80% of market rates) is anything but in London. As you can imagine, there was strong objection from the local community. So residents started St. Ann’s Redevelopment Trust (StART) – a co-operative seeking to build hundreds of permanently affordable homes for sale and rent on that NHS land. Last week they moved a step closer to creating London’s largest community land trust after they secured further funding. Though the bid hasn’t opened yet, they’ve already secured a victory in getting the land classified as an Asset of Community Value – giving the trust the chance to try and get the land in the first place. 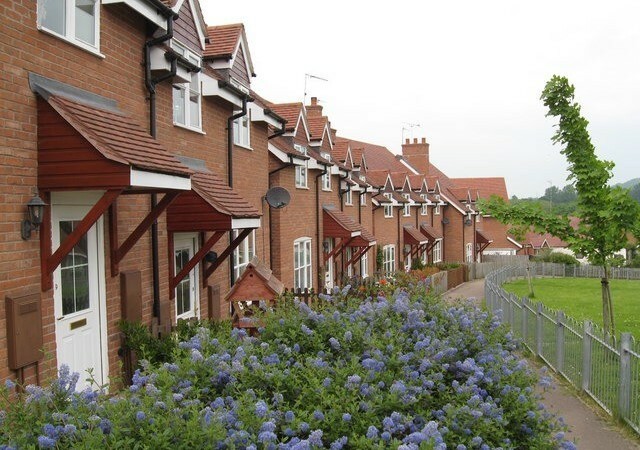 If you haven’t heard of them before, community land trusts are spreading across the UK as a new way to solve the UK’s housing crisis. That’s especially urgent in London where amid spiraling housing and land costs, the trusts can put in guarantees that do not inflate in value with the open housing market – meaning they remain affordable for future generations. StART’s plans for Haringey’s first community land trust include spaces for local businesses and community groups, as well as maintaining the biodiversity that currently exists on the site and ensuring that there is a health legacy for the land, supporting users of the neighbouring NHS mental health facilities. In fact, the site is home to historic trees planted by Kew gardens 100 years ago – meaning it’s vital the project protects its green legacy. The co-op are now in talks with the local authority to try and persuade them that flogging the land off to private developers is not the best option for local people. With home ownership across the UK is at its lowest level in 30 years, and two thirds of adults under the age 30 unable to afford a home, this is an idea that is picking up steam. They are now planning on building 1,000 affordable, sustainable homes in Leeds over the next ten years. There are plans for a national federation of student housing co-ops. And a new co-op housing group, RUSS, in Lewisham are building on the legacy of the 1980s co-op movement to establish dozens of new homes in the borough. if it’s successful, the Haringey project will enable mental health patients at the NHS hospital to have access to the green spaces around St Ann’s, even with housing there. “It feels like there’s a real momentum around the project. She wants people to get ‘serious about community-led housing’. With a strong team, now they just have to persuade local decision makers that community-owned housing works – and that amid a housing crisis, it’s not just a nice thing – it’s absolutely essential. Thankfully, they’re not alone. I welcome articles like this and many in similar vein since the editorial team changed. We are getting properly informed, nuanced reporting from a clear ‘left’ perspective. The so-called ‘left’/’risibly self-named ‘progressive’ media like New Statesman, Guardian, Prospect and earlier editions of LFF, for example, gave more space to telling us about ‘nice’ Tories like Ruth Davidson, doing down Jeremy Corbyn, being mendacious about independence for Scotland, being condescending towards Welsh people, favouring the ‘orange’ side in Northern Ireland, by focussing on ‘republican atrocities’. They were simply operating within the permitted boundaries of discourse, since ‘new’ Labour adopted Thatcherism with a smiley face. If I want to read about these things, I can buy the Spectator and any of the metropolitan or other major papers, watch the BBC, ITV, Sky, read blogs like Conservative Home. There are many creative, collaborative things like this housing development going on across England, Northern Ireland, Scotland and Wales and these should be reported on honestly, rigorously, but also optimistically. I lived in one of the first housing coops Stephen and Matilda in Wapping that was started in 1975. It fell apart over the right to buy as the constitution hadn’t foreseen this and indeed couldn’t have. It is essential that the founding documents are well thought out. Could I also draw your attention to the work that’s going on in Southwark on the estates around London Bridge managed by Leathermarket Joint Management Board (JMB). Established in 1996 under the Right to Manage legislation the JMB have moved from just managing council homes to working in partnership with the council to build new homes at social rents (i.e. genuinely affordable). Having been granted the land and development costs by the council the community are currently nearing the completion of the first 27 homes for local people with a second site in the pipeline. Using land on one of the housing estates that had previously had garages on it, the Kipling development has been driven by local people from the beginning and is a great example of what a committed group of residents can achieve when partnering a council open to innovation.